There are cheap hostels in Ljubljana, suitable for students and travelers in search of budget accommodation in Ljubljana. They are also popular with backpackers as a useful way to socialize. While some hostels offer a private double bed, the lavatories are usually shared. For those who require quiet and privacy, we recommend staying in one of the budget hotels in Ljubljana. Please find a list of the best hostels in Ljubljana below. We do not include illegal or low quality hostels. The most famous of Ljubljana’s hostels is situated very close to the train station, right at the Metelkova town, which is the centre of Ljubljana’s underground nightlife. 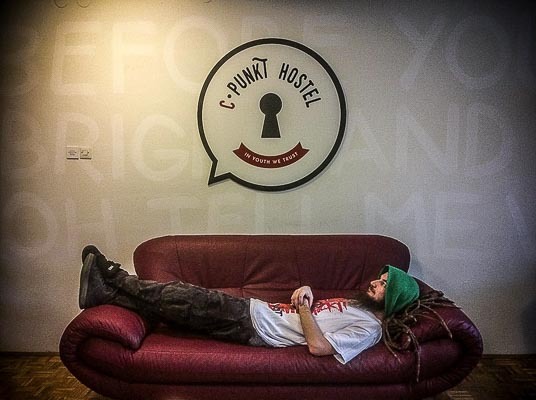 That makes Celica Hostel the party hostel of Ljubljana that still offers a good night`s sleep. 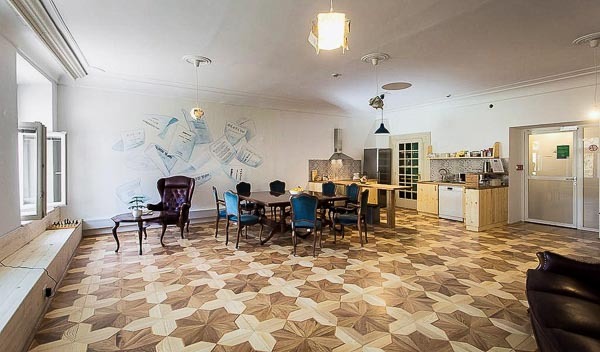 Hostel Celica is housed in the renovated building of a former prison. The cells have been reconstructed into comfortable rooms, which keep the spirit of the old prison. The hostel features a restaurant that also welcomes the general public. The Celica Hostel got declared for the hippest hostel in the world by Lonely Planet and has also been awarded the prestigious Gold Travelife certification for its promotion of sustainable operation in the field of tourism. Hostel Tresor is a unique Ljubljana hostel in the very centre of town, taking one of the best locations to stay in Ljubljana. Boring stories of this former bank building have been replaced by a lively atmosphere of international travellers. Its rooms are named after world currencies, common rooms and a breakfast place are in former vaults. 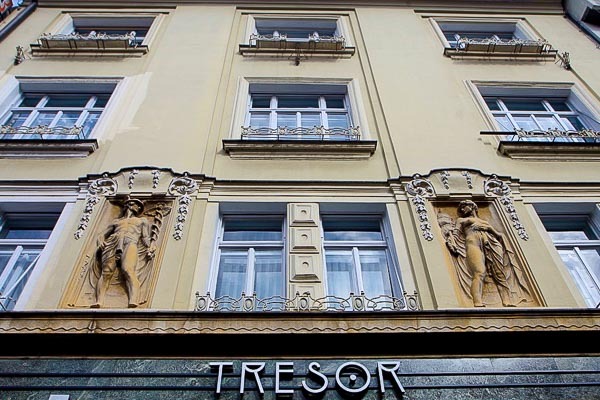 Staying in Tresor Hostel Ljubljana is improved by air-conditioned rooms and dorm beds rearranged in multiple mini vaults. A dorm bed is available from 18 € per night. In a search of a hostel in Ljubljana center? 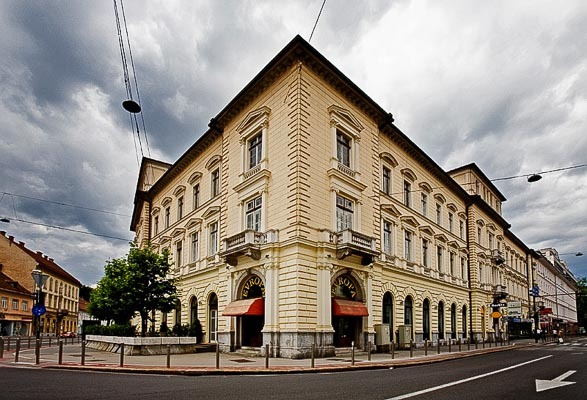 This Ljubljana hostel is the closest hostel to the train station and is located in a 19th-century building called Evropa. The hostel is run by a friendly team of avid travellers who will help you to get the best out of your stay in Ljubljana. There are private rooms and dorms and breakfast is also included in the price. Free WiFi. 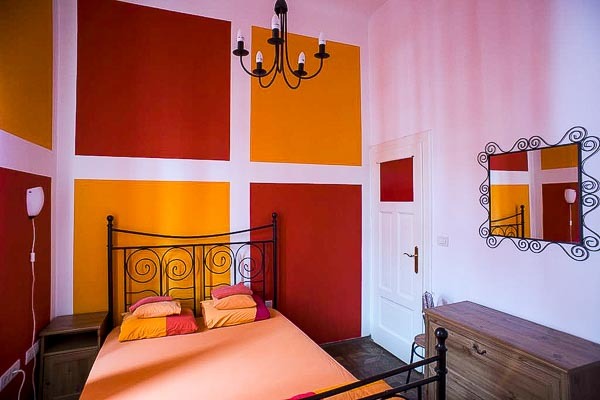 A traditional majestic villa near the Tivoli Park, it has been converted into a youth hostel. The hostel is an easy walk to the city centre, yet offers a comfortable residential style. Everything is new and clean, and the staff are friendly and helpful. The rooms are decorated in lively colours and a kitchen is available on each floor. This is a smaller but very cosy, colourful and spacious hostel with friendly and helpful staff. You will feel like home here as the hostel works more like an apartment you share with your roommates. Even though the hostel is centrally located, the rooms are quiet and you shouldn`t worry about a good night sleep. 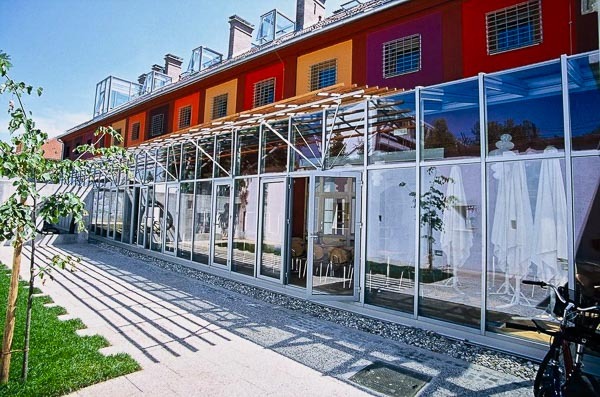 This is a family run youth hostel in Ljubljana with comfortable accommodation right in the centre of town by the river. Because of the great location, all the main sights are on hand. You can choose between the dorm and private rooms. While beds in dorms are cheap, you should expect to pay for a single or a double room from 30 – 50 €. There is a luggage storage room available, safety deposit boxes and in-room lockers. Ask the staff about a guided tour of Ljubljana or if you would like to rent a bike. They can get you covered. There are 80 comfortable city bikes available for rent – 8 € a day and 6 € for 5 hours. 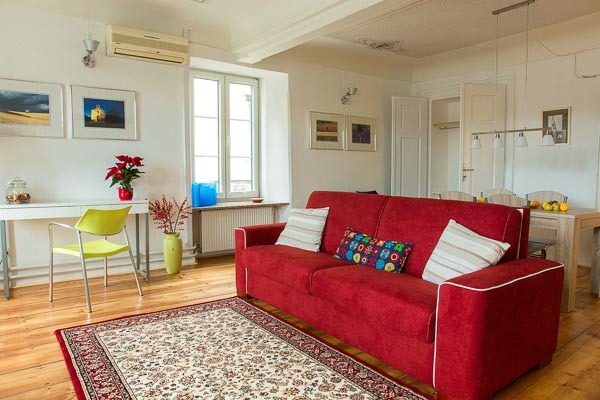 Searching for a hostel in Ljubljana city center? 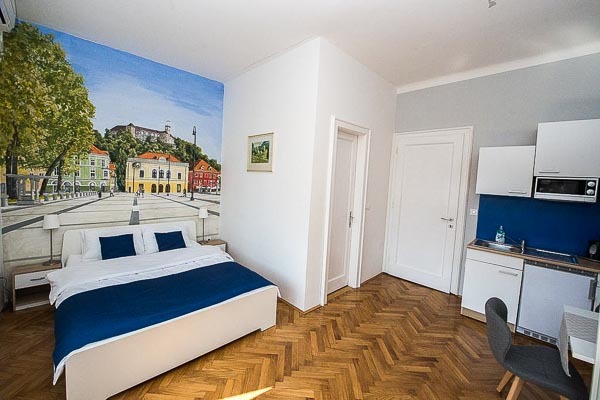 This is truly an exceptional Ljubljana hostel based in one of the historical palaces of the Old Town with a view of the Ljubljanica River. It has a large and spacious lounge room. Each room of the hostel is a unique work of art, individually designed by local artists. There is a fully equipped kitchen and continental breakfast available daily. Kva Hostel Ljubljana is located where some of the most interesting street markets take place, like Sunday`s flea market, Art Market and others. If you like seeing a city by bike, there is a public bike hire BicikeLJ station just in front of the building. Most of the main sights are in the vicinity of the hostel. Hostel Vrba is located in a quiet and green part of the city centre, only 150 m from the pedestrian zone of the old town. There are 27 beds available in private rooms and dorms with shared bathrooms. One child under four years of age stays free of charge. They also offer cribs to use. All guests can use the free wireless internet. A use of hairdryer and an iron is available too. The hostel is pet-friendly and can stay at the hostel for free. The hostel is closely cooperating with their partner restaurant of a similar name (Pod vrbo) offering traditional Slovenian dishes. For the full experience of Slovenia and its capital city, you may want to pay a visit to the restaurant as well. Sax Hostel is an easy walking distance to the centre of Ljubljana. It is situated on the edge of the old town in a quiet area, about 300 m from the pedestrian zone. It is attached to a Sax Pub which is popular with locals and where live jazz music is often played and local beer and wine are served. 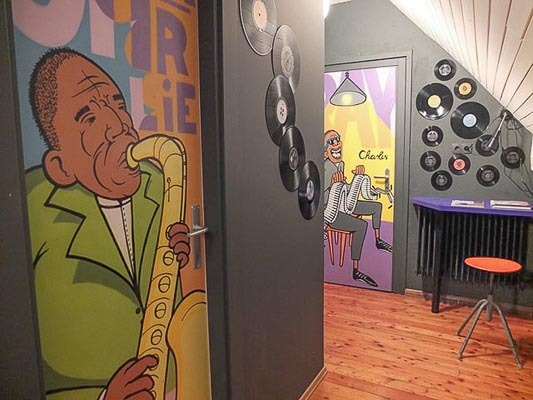 Each room is named after one jazz legend which is also painted on your room door. There is no kitchen in the hostel but the attached pub does serve food. There is a supermarket just around the corner, bus and train station is 15 min walk away. The hostel is small, so make sure you make a reservation in advance especially in the summer. WiFi, lockers, towels and padlocks provided. This small but pleasant, cosy and modern hostel is located near Tivoli Park and within walking distance from both the city centre and the main bus/train station (approx. 15 minutes on foot). It offers one double room and two dorms. Each bed has a little light and plug socket and has a personal locker. The single room has a TV. The hostel is full of little memes, slogans and facts. Free basic breakfast is included, with cereals and toast. The kitchen is tiny but well equipped. The common area is small but comfortable with couches and tables. Centre of urban culture Kino Siska is not far to attend a concert or an exhibition, City bus stop is just outside the hostel. There is also Bicikelj terminal in the vicinity to rent a bike. This Ljubljana hostel is located in a quiet street about 15 minutes walk from the old town of Ljubljana. It is in a quiet area of Ljubljana so nothing will disturb your rest. Rooms are spacious, clean, well laid out and pleasingly furnished. The kitchen is well equipped for preparing meals, there is all the kitchenware you need. They offer complete breakfast and the charming staff is there to make your stay pleasant. The big plus of this hostel is a private car park, which can accommodate 5 or 6 cars. Free WiFi is there and even slippers to give your feet a little rest after sightseeing. 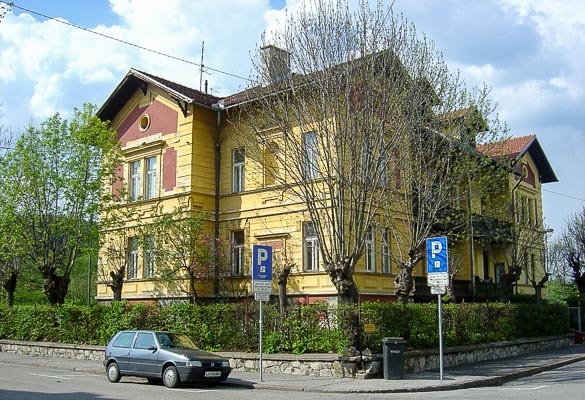 Searching for cheap hostel in Ljubljana of good quality? College dorms during the year, this hostel is a very good place to stay in summer. Each private or dorm room includes a private locker and a shared external bathroom. The common room is big and supplied with lots of plugs for chargers and couches so there’s room for everyone. There is even a pool table. The kitchen is well equipped so you can save some money and make your own food. They also offer a delicious and cheap breakfast. The hostel is located a short step outside the centre of the town below the castle hill but only a 15-minute walk from the Three Bridges or the City Market. Free WiFi access is available in all areas. Laundry service is available at a surcharge. The place is very convenient for bigger groups or for those who need to park their car. This is a student dormitory, and the hostel for tourists is open only in the summer months of July and August (precisely from dates 24.6. to 26.8.). It has about 300 beds, so you have a good chance of finding a bed in the high season if you happen to come without a reservation. 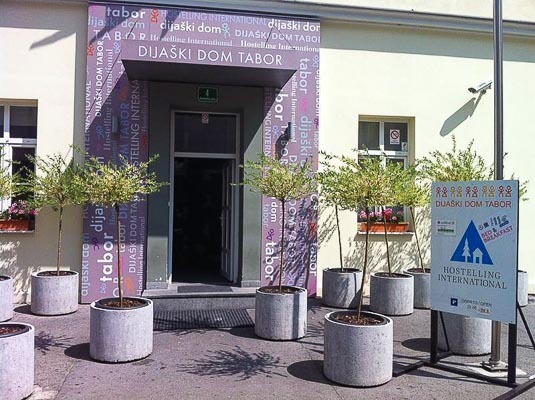 Hostel Tabor Ljubljana is situated in the city centre and only 500 m from the central railway and bus station. It is also in the indirect vicinity of the old city centre. Everything from sheets, towels, wireless, internet, luggage room, parking place and even breakfast is already included in the price. 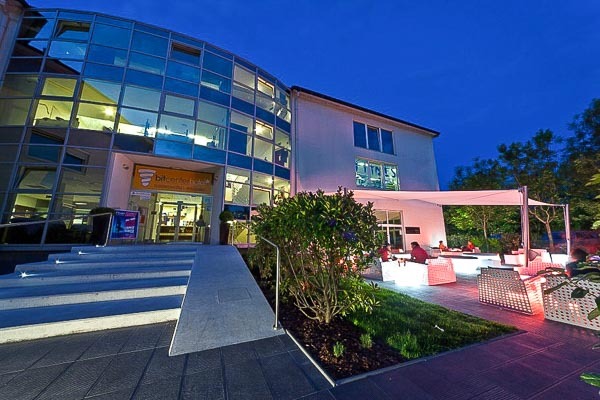 The Youth Hostel Ljubljana is located in the building of the Bit Center budget hotel. The building is new and very clean. 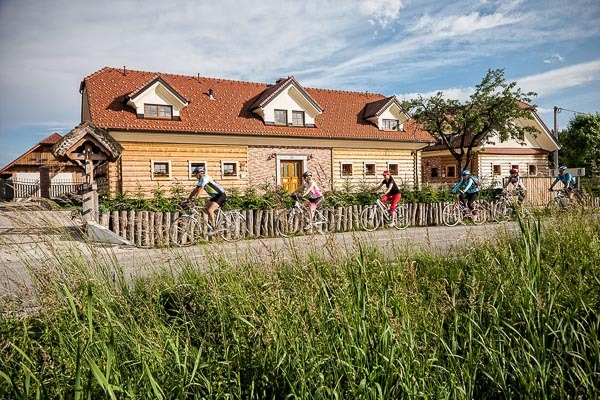 It is situated on the outskirts of the city, some 15 minutes ride by bike from the old town. Bike rental is available directly at reception, while public buses run very frequently, until 11 pm. The hostel offers a range of indoor activities including badminton, squash, table tennis, sauna, aerobics and massage. They offer 35 beds in double or multiple rooms and free WiFi access. Bathrooms are all situated in the corridor close to the rooms. Self-service breakfast is available upon request. There is a big parking area in front of the hotel. This is a modern, colourful and warm hostel with free parking and WiFi. It can be a perfect choice for those, who don`t mind the location of their stay, as it is located by the southern city ring-road 3 km from the city centre. All the rooms have air-conditioning, a desk and a shared bathroom. Some accommodation facilities boast with a terrace or exhibit a garden view. A buffet breakfast is offered on the spot. The hostel is situated not far from the Rudnik Shopping Center or Botanical Garden. Sunday`s flea market is also close by. It is free of charge to advertise a hostel in Ljubljana on this web site. 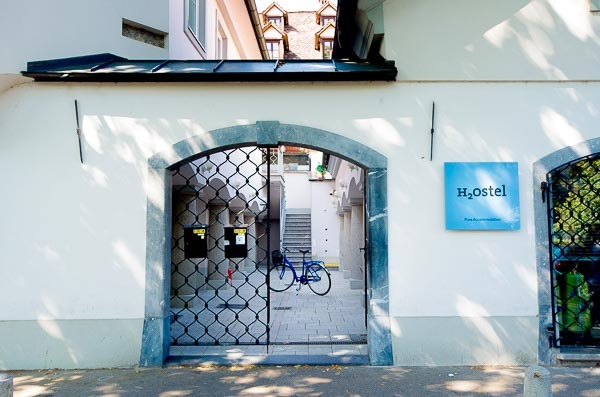 Please contact us to review your youth hostel for Ljubljana.info. We do not include illegal and low-quality hostels.